Topic: [REL] (Ivangorod mod) Estonia-Russia border improvements. 2.2. Re: [REL] (Ivangorod mod) Estonia-Russia border improvements. 2.2. To make the mod compatibe please follow those steps. 1. Open the mod file with an archivator. 2. Locate file manifest.sii and open it. 3. Find the line "compatible_versions: "1.32. *" and remove it. Will you take the Budapest rebuilding project into account to avoid the sector conflicts? P.S. What about M4 going from Budapest to Debrecen via Szolnok? An interchange leading there was already built on the M0 motorway in the project - but not yet the M4 road. 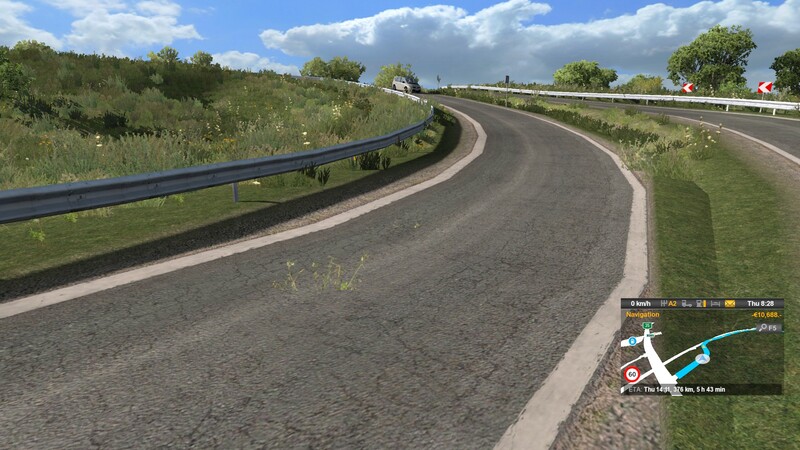 Will Daugavpils be the same detailed as it was in pre-BtBS ProMods version? That was a nicely done area that worth of return. Remélem, nem dühös rám, hogy eltávolítsák és kicseréljék a garázst Budapesten és még nagyobb teljesítménykövetelményekre. I meant the one between Kirkenes and Nikel. The second one at the dam is actually don't go any further - so I don't consider it border crossing in that sense. And after all I didn't even driven there. Considering the shape of that road and my driving skills I decided to use free camera instead. I think my most favorite is Switzerland-Italy border crossing which was rebuilt in PM 2.30, another would be Norway-Russia border and last but not least Germany-Denmark border near Padborg. Yes, it's a standalone project - since the scale is much bigger than 1:19.